Need a comfort meal good enough for Superman? You’re in luck because today’s recipe is Super good and Super comforting. cookbook from Mom in hand, I set out to make a dish that everyone in my family would always love. Of course over the years I have changed this recipe to make it my own and today I’m sharing my best version ever with you fine foodie friends. Note: The pictures below show where I doubled this batch to make extra for freezing. This is a great recipe to make ahead for a quick heat and serve dinner. For this dish, we’ll start out with some bread crumbs (I used some from a homemade loaf of bread) and soak them in milk while we’re getting everything else ready. The traditional recipe for Salisbury Steak, according to Betty Crocker, calls for hamburger. Since I have a fantastic farmer near by that provides the best meats around, I’ve learned that just about any hamburger dish is much better with a little ground lamb and pork. The lamb gives it a richer flavor and the pork gives it the moisture it needs. Not to worry if you don’t have lamb or pork because the dish is very good with hamburger alone, so don’t let that keep you from trying it out. In the bowl here, we’ve got our ground beef, lamb, pork, a couple of those farm fresh eggs, the soaked bread crumbs, salt and pepper. Everything gets mixed together and patties are gently formed into oval shapes. Or squares, if that floats your boat. 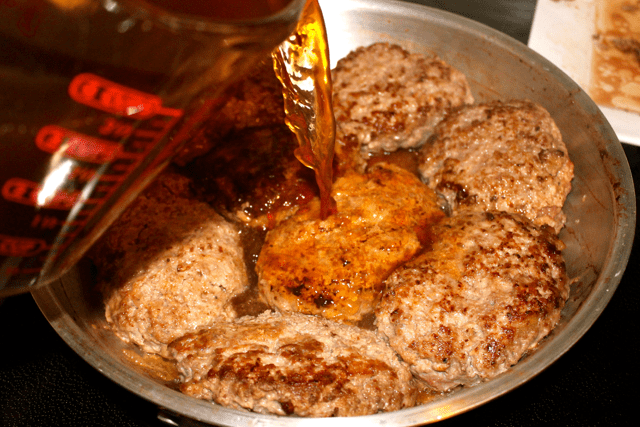 Heat a skillet up and once it’s good and hot, add the patties and brown them on both sides. You’ll want to do these in batches because the goal is to sear the outside of them, not cook them all the way. If you crowd the pan, you won’t get that good sear and they’ll cook too much. We just want to seal all the juicy good flavor into them. 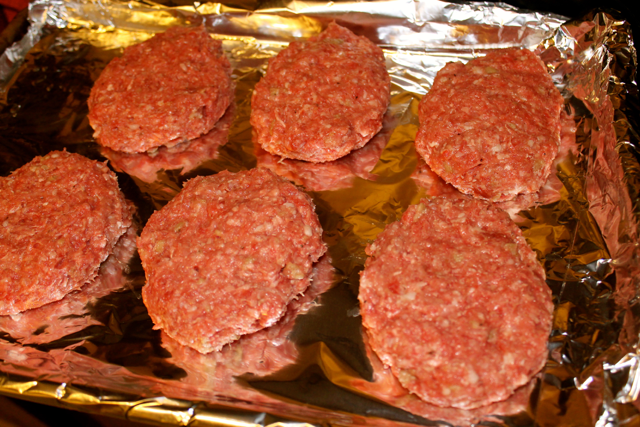 Once you have all the patties browned on both sides, take them out and set them aside. You’ll add a nice amount of freshly sliced onions to the pan. Note: When you use farm fresh meat like this, there really isn’t a terrible amount of grease. If you do happen to get a lot of grease, go ahead and remove that from the pan before you add the onions. 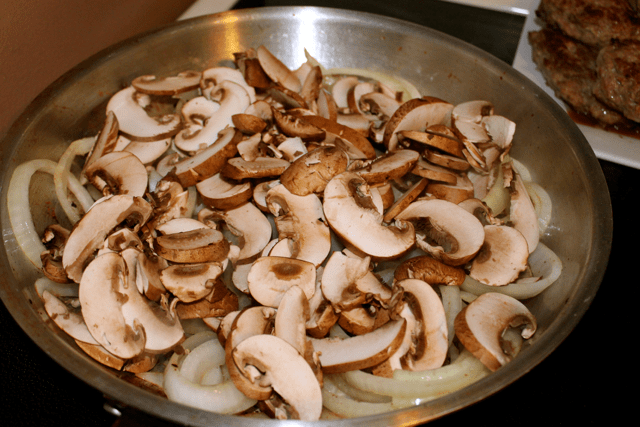 Add some fresh sliced portobello mushrooms to the pan. Saute the onion and mushrooms until the onions are soft. Remove them from the pan and set aside. 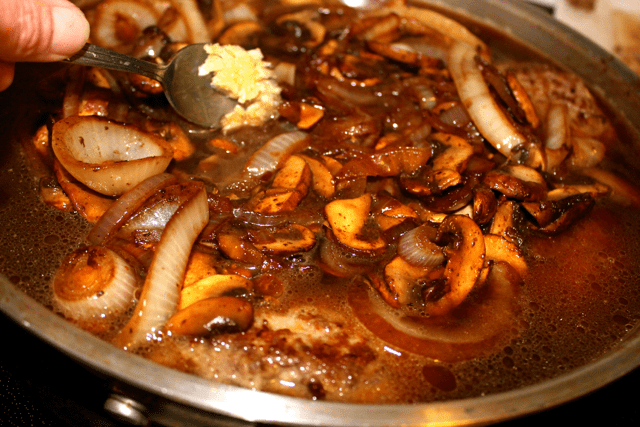 Notice how the liquid that released from the onion and mushrooms deglazed the pan and got all those brown bits unstuck? Yeah, that’s a really great thing because there’s a lot of flavor in those browned bits. Place the patties back in the pan and add some of that fabulous stock (see Mixed Bone Stock Health Elixir). 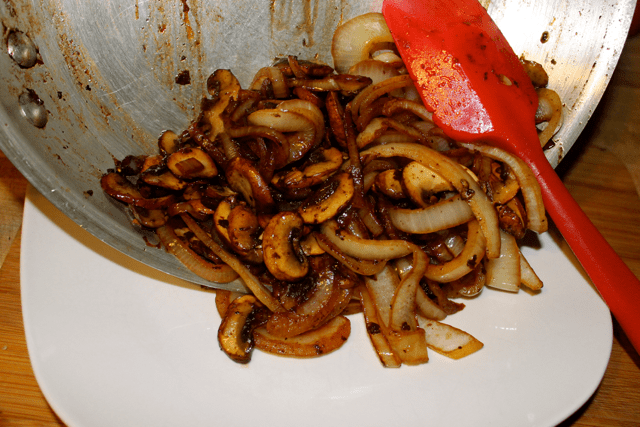 Stir in a couple cloves of minced garlic and add the onion and mushrooms back to the pan. Cover the pan, leaving the lid slightly ajar and simmer for 30 minutes on med/low heat. 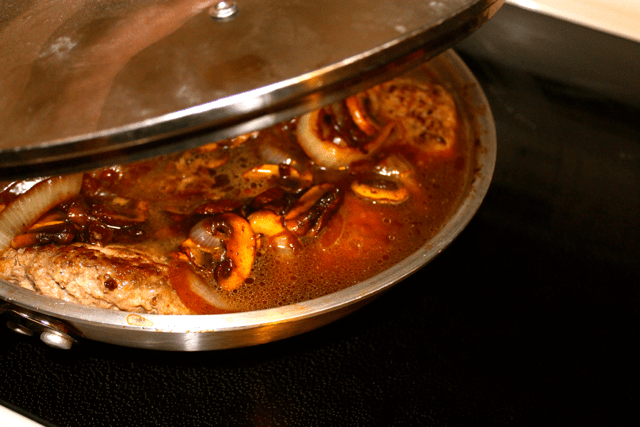 When the steaks are done cooking, remove them, the onion and the mushrooms and place into a baking dish for serving. Leave the left over liquid in the pan. For a nice smooth gravy, mix up some cornstarch and cold water. Turn the heat up to high to get the liquid boiling. Using a wire whisk, stir the cornstarch mixture into the boiling liquid. 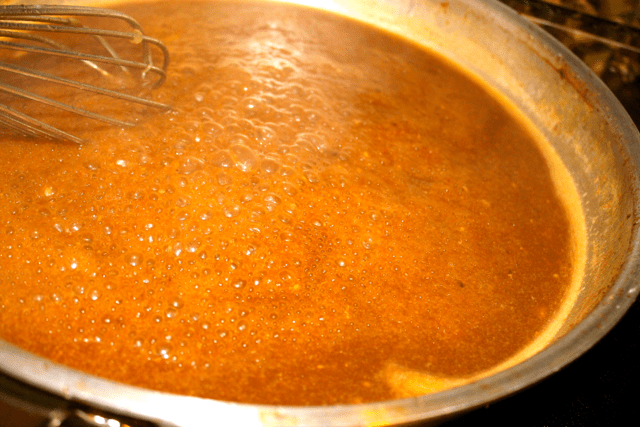 Cook for one minute until the mixture has thickened into a gravy. 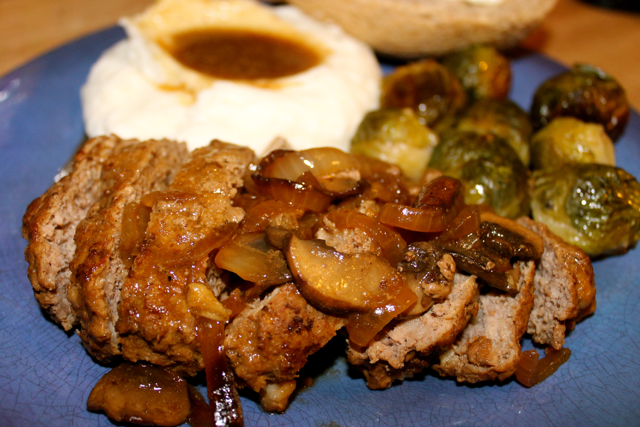 Pour the gravy over the steaks and serve with your favorite veggies and some of those fabulous mashed potatoes. That right there is some Superman worthy comfort food to me. Yum!! That’s a wrap for today friends. I do hope you’ll give this one a try next time you’re looking to comfort yourself or Superman. Make it a great day and as always, keep it delicious. 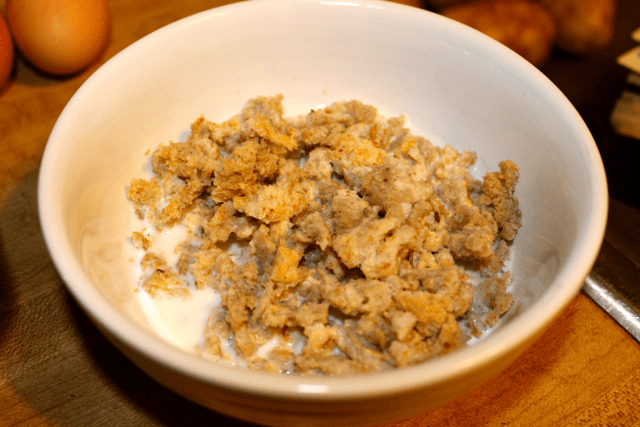 Soak the bread crumbs in the milk, in a small bowl for ten minutes. 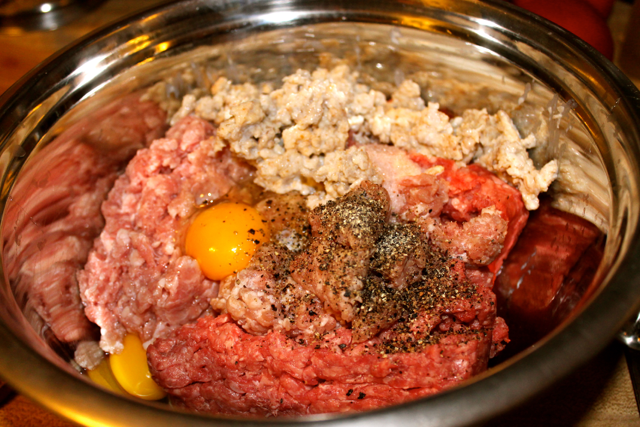 In a large bowl, combine the ground meat, egg, the soaked bread crumbs and salt and pepper. Shape the mixture into six oval patties. Brown the patties on both sides and set aside. Drain grease from the pan if needed and return to medium heat. Add the onion and mushrooms. Saute until the onions are soft. Set the onion and mushrooms aside. 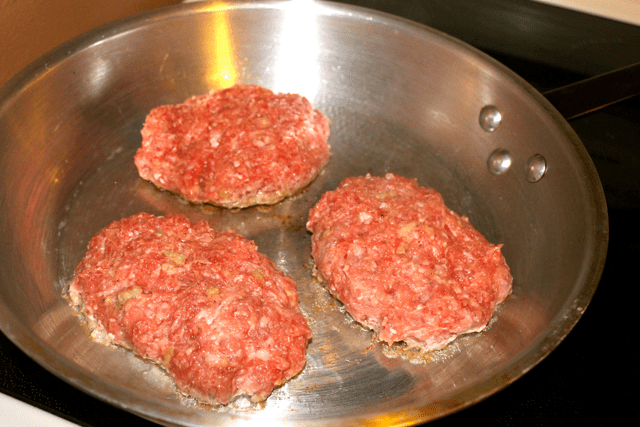 Return the patties to the pan. Add the beef stock and stir in the garlic. Add the onion and mushrooms back to the pan. Cover with a lid, leaving the lid slightly ajar and simmer on med/low for thirty minutes. 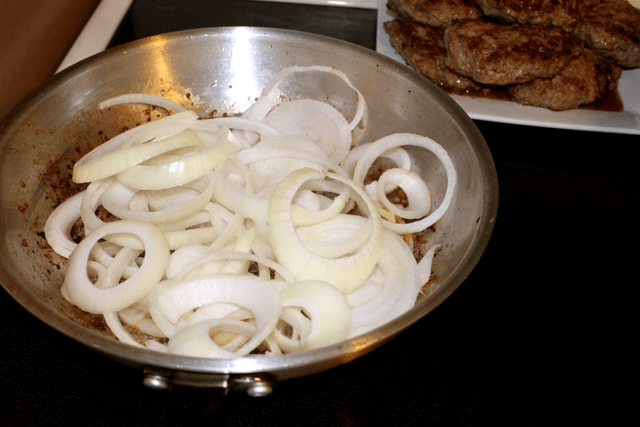 Remove the patties, onions and mushrooms from the pan and place in a baking dish for serving. Mix the cornstarch and cold water in a small dish until smooth. Heat the remaining liquid in the pan up to boiling on high. 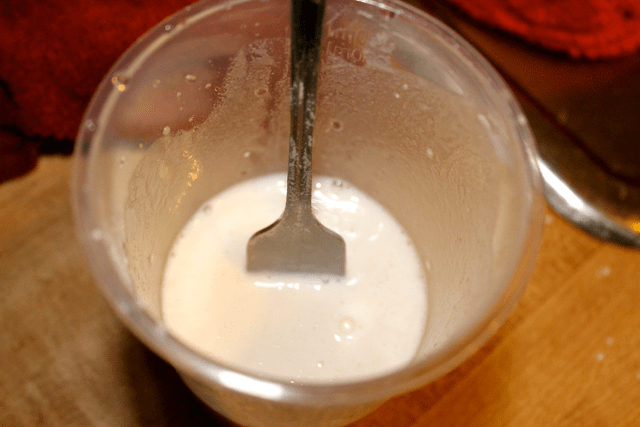 Whisk in the cornstarch mixture and cook, stirring constantly for one minute until thickened. 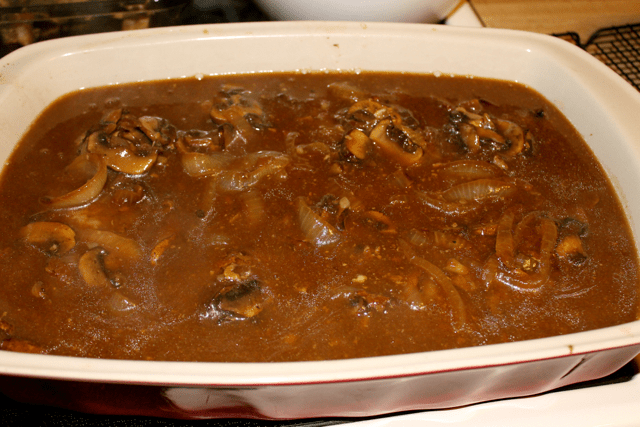 Pour the gravy mixture over the patties, onions and mushrooms. Serve hot with mashed potatoes and your favorite vegetable. Previous Post: « Homemade Vegetable Soup Pressure Cooker Fast!